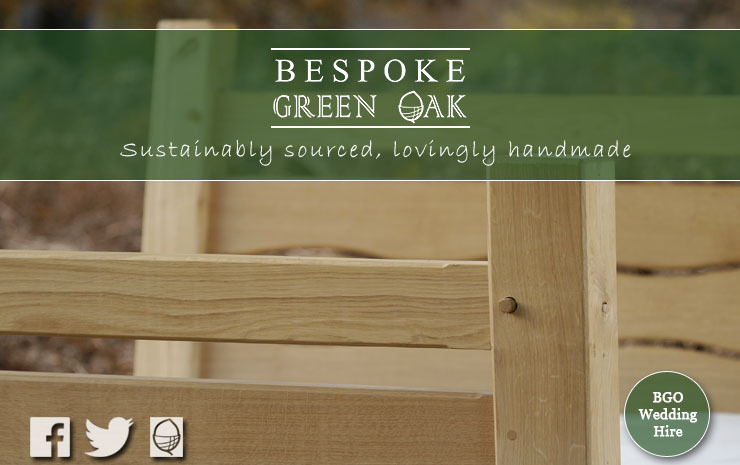 Bespoke Green Oak would encourage anyone buying wooden products in the UK to make absolutely sure that the timber has come from a sustainable source. We would also recommend that you find out where the product was made and consider whether, even a sustainably sourced timber product, can be considered environmentally friendly if it has been shipped half way around the world. We ensure that all of our timber is sustainably sourced by working with FSC (Forest Stewardship Council) or PEFC (Programme for the Endorsement of Forest Certification) certified sawmills, the Forestry Commission and local, accredited, tree surgeons. We source all of our timber from within the UK. All of our green oak is locally sourced from the New Forest, resulting in exceptional tree to sawmill to workshop ‘timber miles’ of less than 20 miles. Our seasoned timber comes mainly from trees grown in the southeastern quarter of England – Kent, Sussex, Hampshire and Surrey. This means that when you commission work from Bespoke Green Oak you are supporting foresters, woodland workers and independent sawmills who are hard at work preserving our woodland heritage and national timber industry. At Bespoke Green Oak we don’t believe in “scrap” timber! Our larger off-cuts are turned into small, unique and original gifts (which can be seen in the Gallery). Our oak shavings are collected and supplied to local smokeries and individuals to smoke fish and meats. Any remaining off-cuts are burnt as a carbon neutral fuel. Our expanding use of green timber, and traditional green woodworking techniques, including turning on our pole lathe, eliminates energy consuming timber processing.